I'm getting fairly crafty since I have more time on my hands and iv been doing little things here and there. This is something I made for my best friend and female soul mate for Christmas. 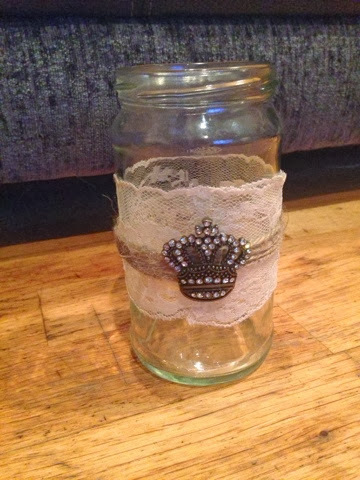 It's from a sauce jar with cream lace a piece of jewellery and Wicca style strong for a vintage effect. She is now using it for her makeup brushes and I love it so much I plan to make one for myself.